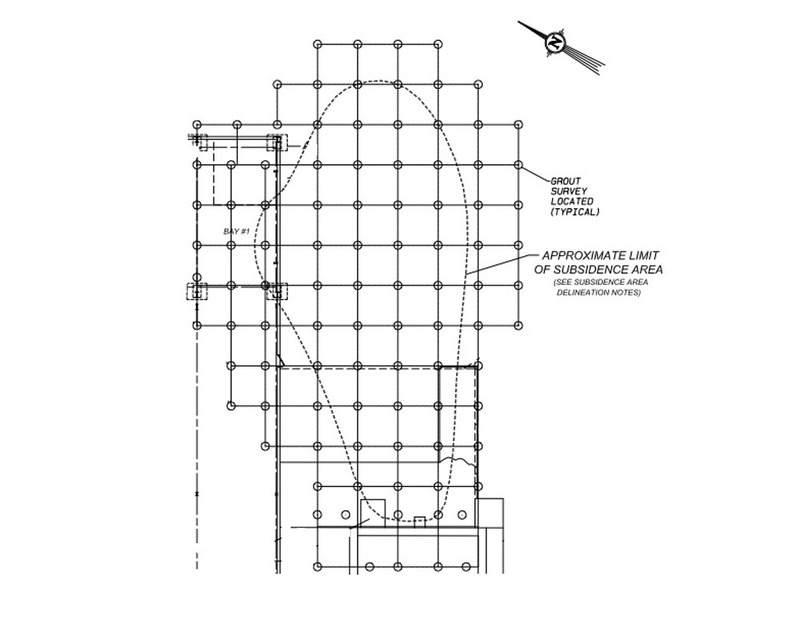 Limited mobility grout is injected into void spaces within soil or rock, soft soils, or the soil-filled cavities of the bedrock, to improve the subsurface soil and rock conditions by filling the void spaces and replacing soft, loose soils with high internal friction grout that improved stress transfer. The grout is then intended to remain in a globular mass which increases in size as pumping proceeds. 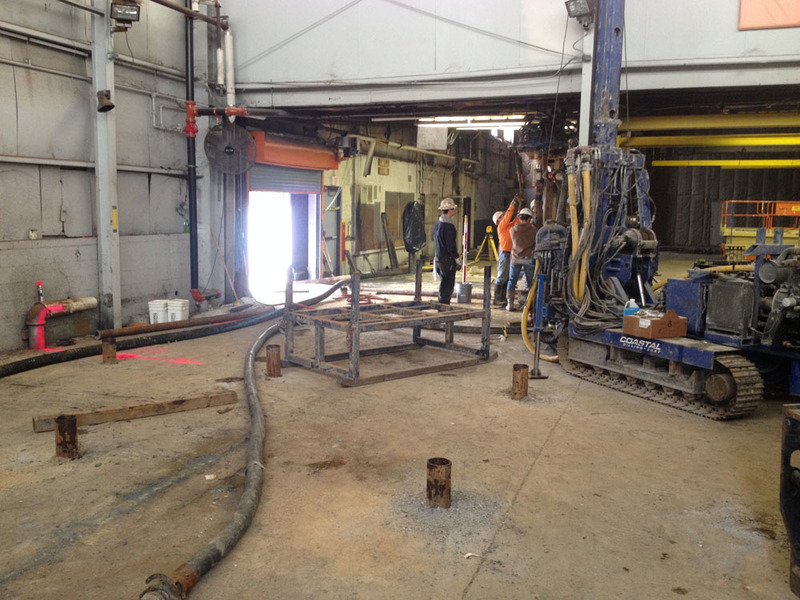 The objective was to remedy sinkhole activity on an active commercial site while drilling in low overhead locations and dealing with complex underlying geological conditions. 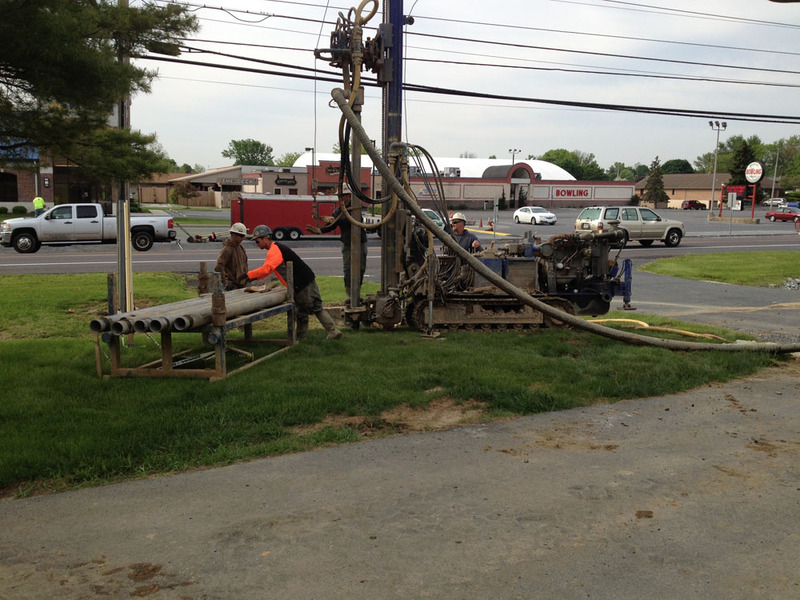 This project required an emergency mobilization and execution of compaction grouting to stabilize a large sinkhole. 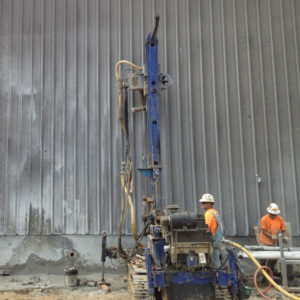 Due to the nature of the drilling parameters, CDE was chosen due to its operational versatility. 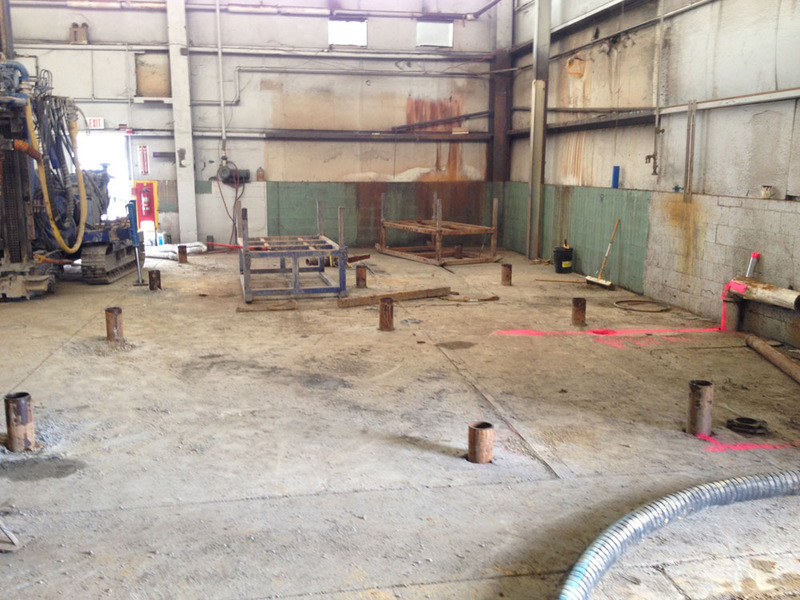 Drilling was required not only in outside locations, but also inside the facility with low overhead conditions. The project included the drilling of over 140 injection holes and placement of over 1,600 cubic yards of compaction grout. The project began upon receipt of the approved submittals and the Notice-to-Proceed. 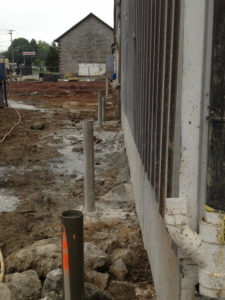 Coastal then mobilized to the site and began drilling activities. 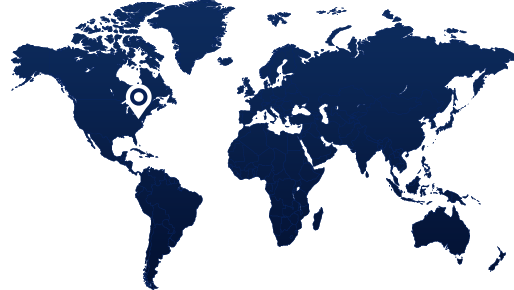 The primary grout locations were identified, laid out and adjusted as necessary to prevent damage to the facility and to avoid any interference with utilities. All grout locations within the existing structure had to be “pre- cored” through the slab in a manner that mitigated the generation of dust, dirt, and debris. 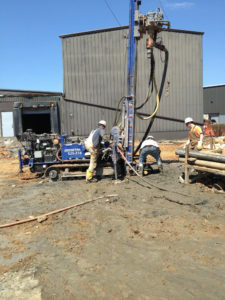 A hydraulic track mounted drill was used to drill the risers and the grout casing was advanced to the required tip elevation by the use of percussion drilling techniques utilizing a down-the-hole hammer and concentric bit utilizing air flush. 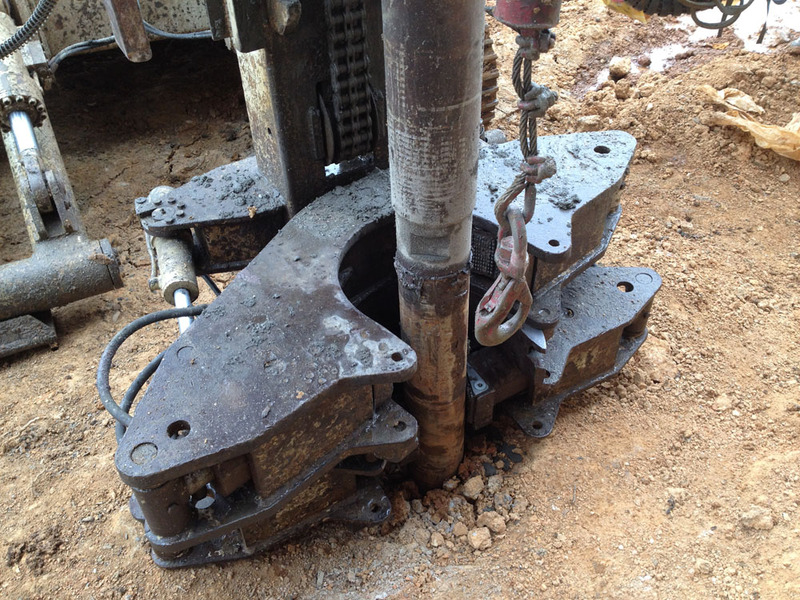 The steel casing was left in-place until grouting and then extracted by the drill rig as the hole was grouted. 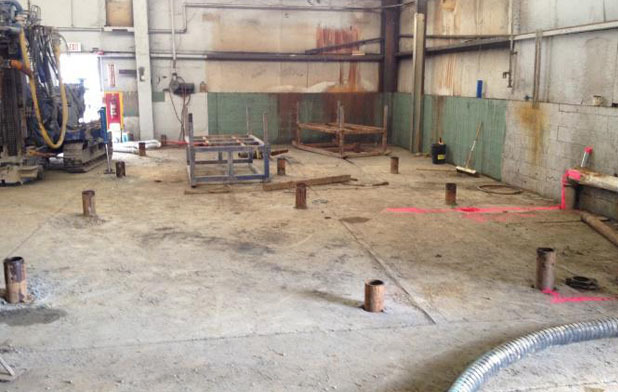 Upon completion of the primary grout holes in a particular area, the results of the primary grouting were presented to the engineer, evaluated and secondary grouting locations were added as required. In total, Coastal drilled 147 grout holes totaling over 6,300 LF and injected approximately 1,600 CY of low mobility grout while adhering to strict safety and quality assurance standards throughout the entirety of the project.